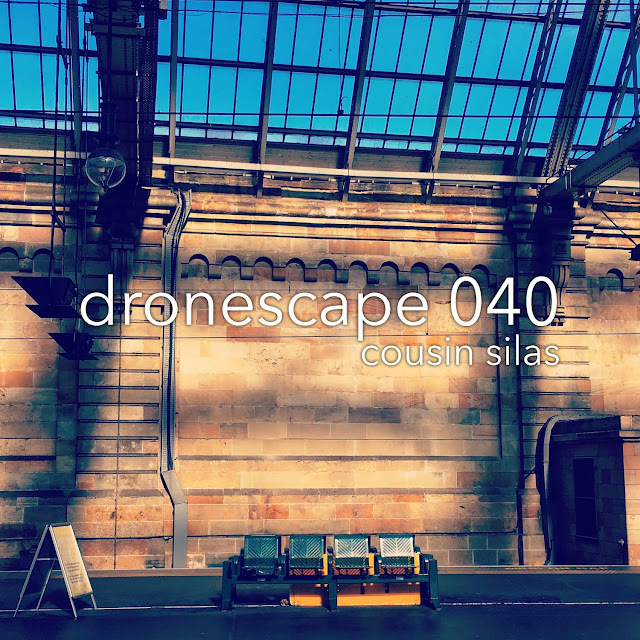 It has been a while since dronescape 039 ... nearly six months, in fact, and in that time Cousin Silas has released a couple of longform pieces inspired by the Berlin School of electronic music. He's also released the final selection of music created by him, in partnership with Tim Jones and Kevin Lyons; and he's began to rerelease his legendary TWANG! series. 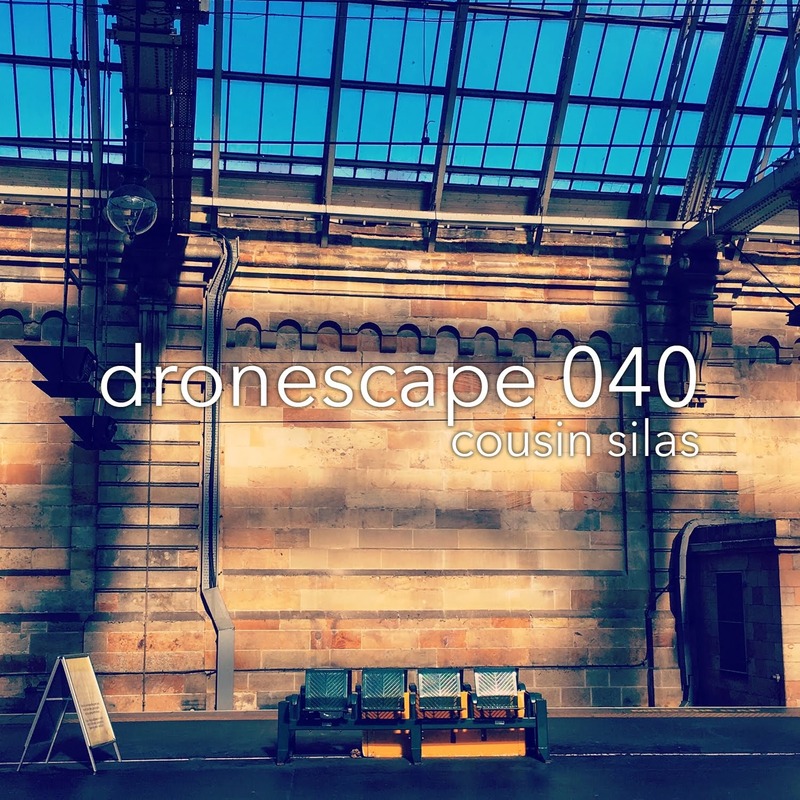 He's also been rather prolific on other netlabels, for example with two collections of "Short Stories" on the fab Studio 4632. But for all that, the dronescapes are what folks ask for. 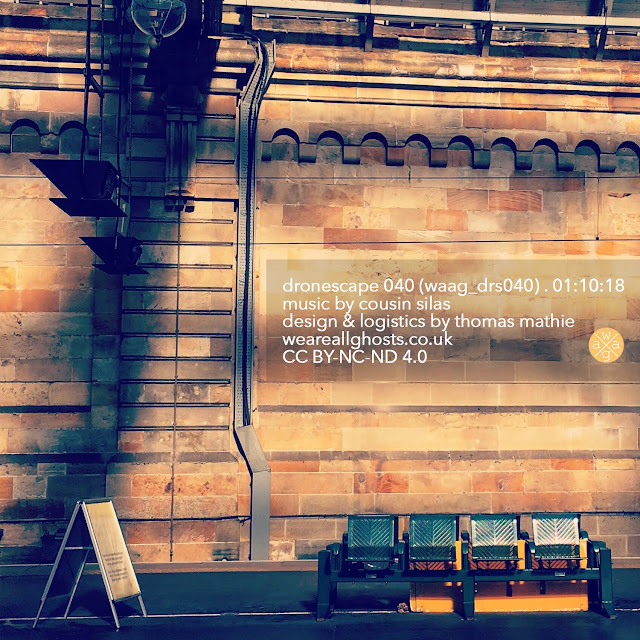 Just this morning I was lying in bed, listening to 039, as the early light got brighter. There is something truly magical about drifting off with a dronescape in your ears ... that special uninterrupted space where time gets all wibbly-wobbly and your brain can truly switch off. Dronescape 040 is more of the same, in this regard. It is consistent with the longform pieces that have come before it and fits nicely into the canon. It provides that special space and gives the listener seventy minutes in which they can focus and go with the flow, or unfocus and let go of the flow, depending on their preference. It truly is a magical space and, as before, I really do hope you enjoy this dronescape as much as have and will. It is important to note that weareallghosts is funded through the money we receive for albums and dronescapes such as this. For us to realistically continue to put out this level of quality in the quantity that we do, we need to levy a small charge for our releases. Please help out by buying the dronescape. That said, if you aren’t able to then please note a 320kbps version of this release will be available in the next couple of days over on Archive for free.